Italy's flourishing tourist trade has been truly rewarded by its panoramic natural resources, the majestic Alps in the north, the soft and green hills of Tuscany & Umbria, the romantically rugged landscape of the S Apennines and the Bay of Naples, dominated by Mt. Vesuvius, is one of the world's most famous sights. Boasting more than 40 Unesco World Heritage sites, the most of any country in the world, Italy is famous for its great cities of art, beautiful scenery, gourmet foods and cuisine, cutting-edge fashion and its great sense of style. As well as a whole host of unique cultural treasures, Italy is blessed with some stunning countryside from the rolling hills of Tuscany and the Dolomites mountains to the Italian lakes, the Amalfi Coast, the volcanic island of Sicily and the beautiful beaches of Sardinia. The beautiful country of Italy has several main international airports depending on where in Italy you are visiting including Rome, Milan, Venice and Naples. Popular with visitors from across the world, there is an excellent choice of airlines operating frequent flights into the main cities such as Swiss, Lufthansa and KLM. If you prefer direct flights, both Alitalia and British Airways operate direct services from the UK. Low cost flights to Italy are also available on Ryanair and easyJet. Italy’s 3 great cities of art, Rome, Florence and Venice are packed with historic treasures, incredible works of art and beautiful ancient architecture. Highlights of the Italian capital city of Rome include the Colosseum, Piazza Navona and The Vatican and St Peter’s Basilica. The centre of the Renaissance, Florence is home to some of the world’s most revered art galleries including the Uffizi, Accademia and Pitti featuring works of art by Michelangelo, Botticelli, Donatello and Leonardo. 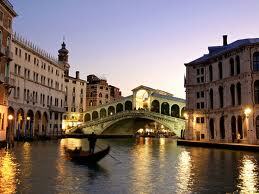 The unique city of Venice with its famous Grand Canal is perfect to explore by foot or by gondola. Relax at watch the world go by at one of the many beautiful Piazzas and don’t miss St Mark’s Basilica with its golden mosaics and incredible works of art. Travel south to Pompeii, the former Roman city which was buried by the volcano of Vesuvius in 79AD and explore the beautiful coastline of the Amalfi Coast. Here at Directflights.com we pride ourselves on finding you the absolute best offers on cheap flights to Italy using our superb flight search box. If you're after the cheapest flights, book well in advance and avoid the crowds by travelling out of season. If you need to travel imminently we can also find you the best value lastminute flights. The climate of Italy is highly diverse and can be far from the stereotypical Mediterranean climate, depending on location. Most of the inland northern regions of Italy, for example Piedmont, Lombardy and Emilia-Romagna, have a climate variously described as humid continental or temperate. 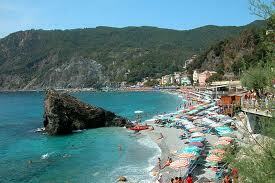 The coastal areas of Liguria and most of the peninsula south of Florence generally fit the Mediterranean stereotype. Conditions on peninsular coastal areas can be very different from the interior's higher ground and valleys, particularly during the winter months when the higher altitudes tend to be cold, wet, and often snowy. The coastal regions have mild winters and warm and generally dry summers, although lowland valleys can be quite hot in summer.